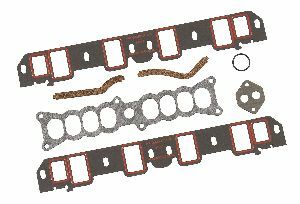 Showing 1 - 3 of 3 Products for Engine Intake Manifold Gasket. Rectangle Port Shape; Port Dimensions W-1.25 in. x H-2.11 in. ; Thickness .060 in. Port Size: 1.250 In. X 2.110 In. Mr. Gasket standard intake gasket sets are manufactured from a blend of nitrile rubber and fiber, for excellent sealing and durability. They're precision die-cut for each specific application to ensure a great fit, and can be custom-trimmed for modified ports where needed. The sets come complete with all necessary seals and block-off plates. 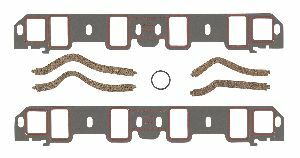 Rectangle Port Shape; Port Dimensions W-1.25 in. x H-2.11 in.